For years, the National Indian Health Board (NIHB) has been bringing together stakeholders including Tribal leaders, Tribal health directors, Area Indian Health Boards, Tribal Epidemiology Centers, and public health leaders to explore solutions and develop recommendations to address oral health disparities and lack of access to oral health treatment and prevention services in Indian Country. 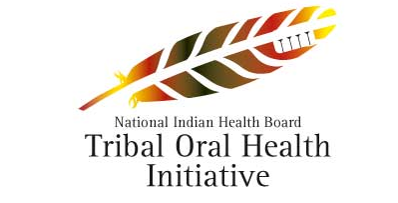 The NIHB’s Tribal Oral Health Initiative is a growing body of work that includes a toolkit, research, Tribal leader and Tribal healthcare administrator trainings, and, eventually, the Tribal Oral Health Agenda. Check back as we continue to grow this online compendium of resources on innovative programs and policies for Tribal governments to utilize in increasing access to safe and quality oral healthcare in Indian Country. One solution to Indian Country’s oral health crisis is dental therapy. Dental therapists are midlevel oral healthcare providers that offer basic dental treatment, with a special emphasis on preventative and routine care. Similar to physician assistants, dental therapists operate under the general supervision of a dentist. They are trained to perform the most common dental procedures with proficiency, which meets a significant proportion of patient need. Because of this, dentists can focus their limited time on the most serious cases, practicing at the top of their scope. Dental therapists have been practicing in Alaska Native communities since 2004. As part of the Community Health Aide Program (CHAP), which provides much needed health services in rural Alaska, dental therapists complete a rigorous two calendar year program, a 400 hour preceptorship under the supervision of a dentist, and then begin practicing in communities where the unmet oral health needs are the highest, usually in rural areas. Diseases of the mouth and access to oral healthcare are critical issues for many American Indians and Alaska Natives. In fact, American Indians and Alaska Native children ages 2-5 years have an average of 6 decayed teeth, while the same age group in the U.S. population has only one decayed tooth. Furthermore, half of American Indians and Alaska Natives live in what are considered “dental shortage areas.” Often, oral healthcare has been so under-prioritized, that people do not know just how important oral health is to overall health. The dental therapy model is extremely useful for areas with a shortage of oral healthcare providers. These dental shortage areas include many rural reservations. Because dental therapists teamed up with dentists are more cost effective than dentists operating alone, they actually save their programs money! Due to a clause in the Indian Healthcare Improvement Act of 2010, Tribes are unable to adopt dental therapy as part of CHAP unless they receive state approval. However, Swinomish Tribe in Washington State has used its sovereignty to develop its own licensing standards outside of the program. Swinomish has employed a dental therapist since January 2016, which is helping that Tribe meet its oral healthcare needs and is saving the Tribe money. Two Tribes in Oregon have also begun implementing dental therapy as part of a state pilot program. NIHB offers training to Tribal leaders on the potential that dental therapy offers to Indian Country and how they can implement their own dental therapy programs. On this website, you can see the Tribes, Intertribal organizations, and Area Indian Health Boards that have shown their support for dental therapy. NIHB also offers further resources on the dental therapy model, as you can see below. Join the movement as Tribes continue to assert sovereignty and develop their own solutions to their people’s oral healthcare needs!